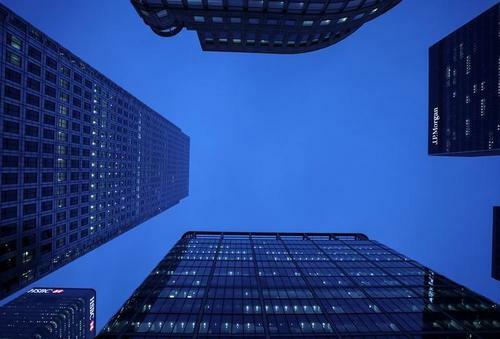 Reuters UKThe largest global banks in London plan to move about 9,000 jobs to the continent in the next two years, public statements and information from sources shows, as the exodus of finance jobs starts to take shape. Reuters UKBritish Prime Minister Theresa May's Conservative Party has opened up the biggest lead on record for polls conducted by research firm ICM, suggesting it remains on course for a sweeping win in a national election in a month's time. Reuters UK- Calum Kerr, a parliamentarian from the Scottish National Party (SNP), is having to work hard to get his message across. Reuters UKBritain's ruling Conservative party holds a commanding 17 point lead over the opposition Labour party, a poll by Survation showed on Tuesday, with support for the anti-European Union UK Independence Party plummeting. 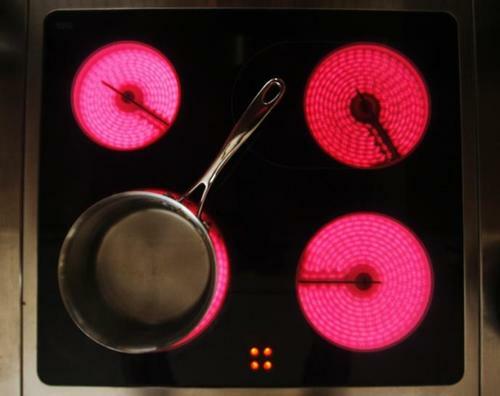 Reuters UKUnited Kingdom's Prime Minister will introduce a cap on "unfair energy price rises" if she is re-elected on June 8, Theresa May wrote in the Sun newspaper on Monday. 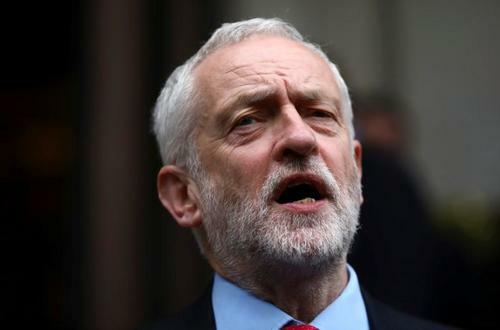 Reuters UKJeremy Corbyn, leader of Britain's opposition Labour Party which is currently languishing behind the ruling Conservatives in opinion polls, says he will not quit as leader if he loses a national election next month. 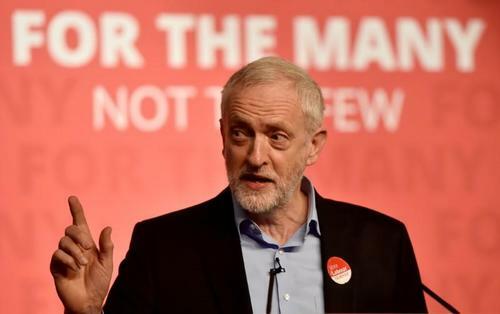 Reuters UKThe leader of Britain's main opposition Labour Party, Jeremy Corbyn, refused to confirm on Tuesday that he would take Britain out of the European Union if his party won a June 8 election, the BBC reported. 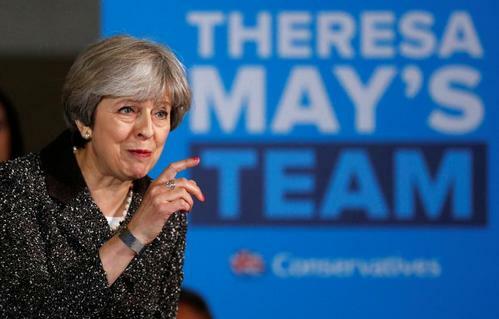 Reuters UKSupport for British Prime Minister Theresa May's Conservatives has slipped four percentage points ahead of a June 8 general election but they still hold a commanding lead over the opposition Labour Party, a Kantar Public poll showed on Tuesday. Reuters UKHe takes the garbage out, she cooks at weekends and work never enters the bedroom - British Prime Minister Theresa May and her husband Philip offered a glimpse of their private lives in a television interview on Tuesday. 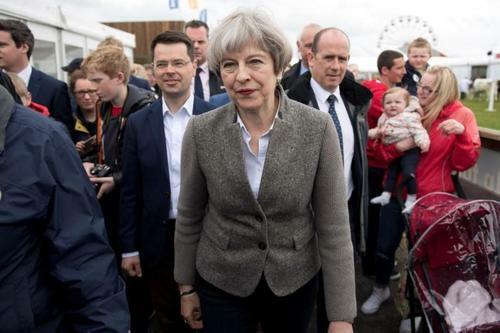 Reuters UKBritish Prime Minister Theresa May's Conservatives have kept a 17 percentage point lead over the Labour opposition, a month before Britons vote in a national election on June 8, a poll from market research company Panelbase showed on Wednesday. 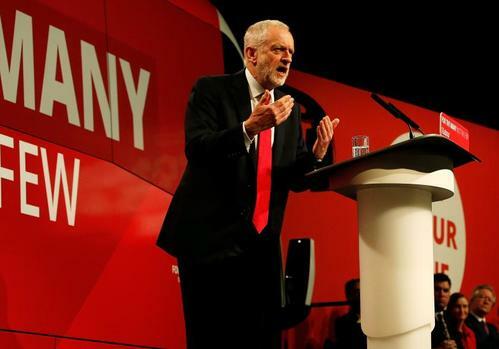 Reuters UKBritain's opposition Labour Party said on Wednesday it would raise corporation tax to 26 percent from 19 percent if it wins a June 8 election, seeking to win over sceptical voters with a promise to spend the proceeds on education. 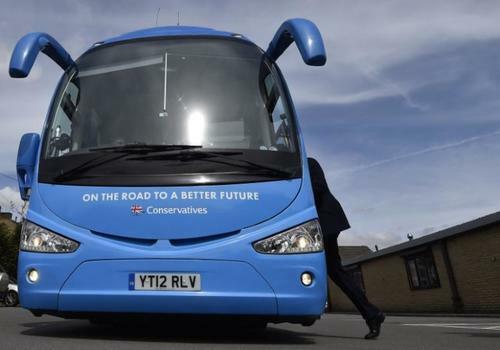 Reuters UKBritish prosecutors said on Wednesday no one would face criminal charges over alleged expenses fraud by the ruling Conservative Party during its campaign for the 2015 election when it won a surprise majority. PM Theresa May says after a full, lengthy investigation, legal authorities have confirmed that expenses were properly declared in the 2015 election. 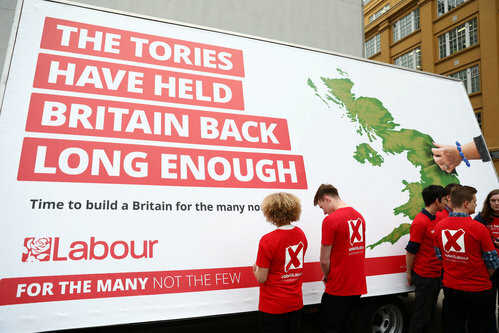 The leader of Britain's main opposition Labour Party Jeremy Corbyn unveils the party's general election campaign poster. Reuters UKBritain's defence minister on Thursday dismissed a Times newspaper report suggesting that relations between Prime Minister Theresa May and her finance minister, Philip Hammond, had deteriorated. 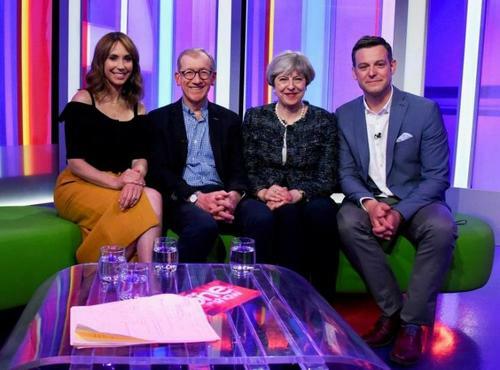 Support for British Prime Minister Theresa May's Conservative Party has slipped two percentage points ahead of a June 8 general election but they still hold a big lead over the opposition Labour Party, according to a YouGov opinion poll for the Times. 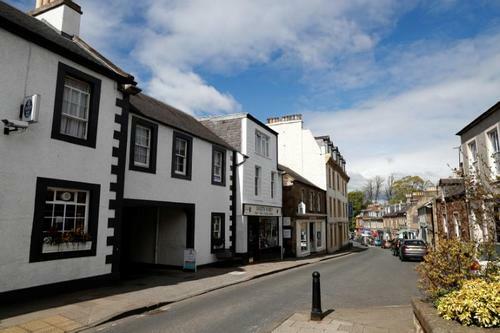 The Conservatives were at 46 percent against Labour's 30 percent, the paper said in a limited extract released on Wednesday. YouGov interviewed 1,651 people between May 9 and 10. 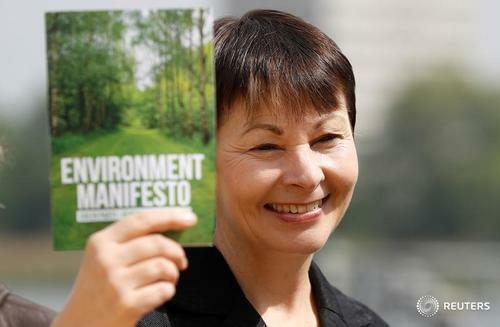 Reuters UKBritain's opposition Labour Party will pledge to nationalise energy, rail and mail services, The Daily Telegraph reported on Wednesday, citing a leaked copy of Labour's draft election manifesto. 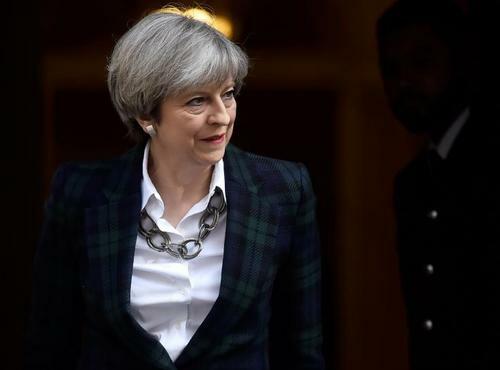 Reuters UKBritish Prime Minister Theresa May promised to increase the country's defence budget by at least 0.5 percent in real terms every year until 2023 if she wins a June 8 election, adding an extra two years to her party's existing spending pledge. 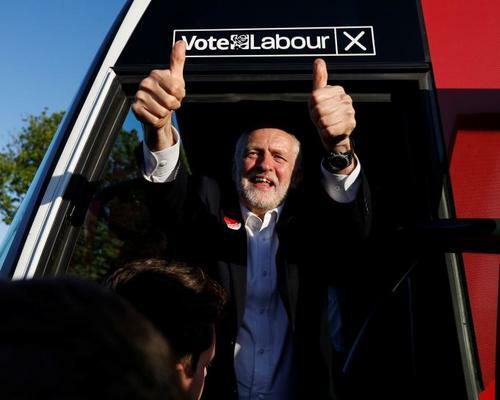 Reuters UKBritain's main opposition Labour Party will promise to renationalise rail and mail services and take some of the energy sector into public hands, betting that a shift to the left will win over voters before next month's election. 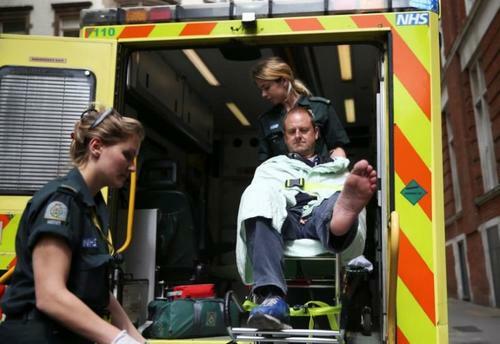 Reuters UKA car carrying Labour Party leader Jeremy Corbyn ran over the foot of a BBC cameraman while approaching a party policy meeting ahead of Britain's June 8 national election, according to a photographer and cameraman at the scene. 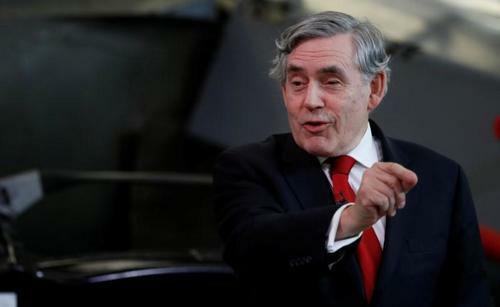 Reuters UKGordon Brown, the last man to lead a Labour government in Britain, urged party supporters on Thursday not to lose faith through "difficult times", with polls predicting current party leader Jeremy Corbyn on course for electoral defeat. Reuters UKBritain's opposition Labour Party leader Jeremy Corbyn said on Friday he was not a pacifist and accepted that military action was sometimes necessary, as he sought to bolster his foreign policy credentials ahead of next month's election. 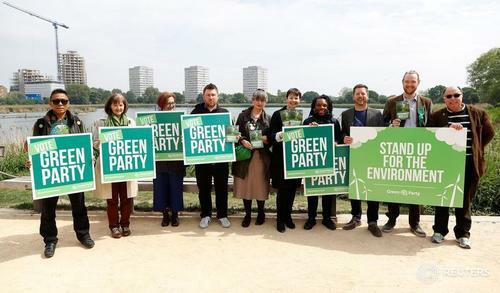 Reuters UKA group of 16 opposition Labour Party lawmakers seeking re-election in London said on Friday Britain needed to remain a member of the European single market after Brexit, contradicting the party's official position ahead of a June 8 election. 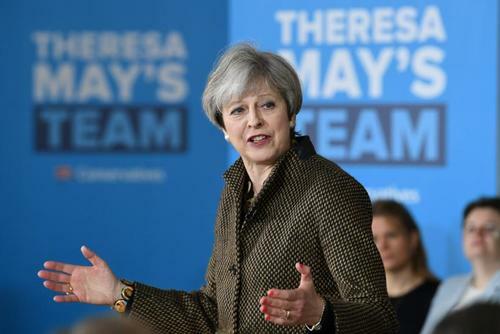 Reuters UKBritish Prime Minister Theresa May's Conservative Party has a 15 point lead over the main opposition Labour Party ahead of a June 8 national election, according to an opinion poll conducted by Opinium Research.